We're always on the lookout for new talent and ideas. Becoming an O'Reilly author gives you a platform to share your ideas and knowledge with the world while developing a name for yourself as an expert in your field. We encourage you to learn more and submit a proposal. 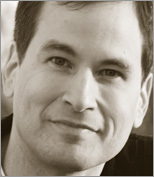 David Pogue is the anchor columnist for Yahoo Tech, having been groomed for the position by 13 years as the tech columnist for the New York Times. He's also a monthly columnist for Scientific American, host of science shows on PBS's "NOVA," and two-time Emmy-winning correspondent for "CBS Sunday Morning." With over 3 million books in print, David is one of the world's bestselling how-to authors. He wrote or co-wrote seven books in the "for Dummies" series (including Macs, Magic, Opera, and Classical Music); in 1999, he launched his own series of complete, funny computer books called the Missing Manual series, which now includes 120 titles. FileMaker Pro expert, presenter and author. Freelance writer, Android author/nerd, maker of snooty coffee. Brian Sawyer is a Senior Editor for O'Reilly Media, where he manages the Missing Manuals division.